Have you ever wondered how The Employers Association can help your business be successful? In this latest Partner Spotlight, Jackie Greco, Member Services Associate, took the time to talk to us about how businesses can benefit from the services they offer. Charlotte Business Resources (CBR): Thanks for taking the time to talk to us about The Employers Association (TEA). First, tell us a little bit about yourself. Jackie Greco (JG): I started working at TEA in 2012 as a contracted Human Resources Assistant and moved into the role of Member Services Associate in February of 2013. I am usually the first point of contact for companies and organizations wanting to learn more about TEA. I also work with members through their first year with us to help maximize their investment. CBR: When was TEA started? What services do you offer? 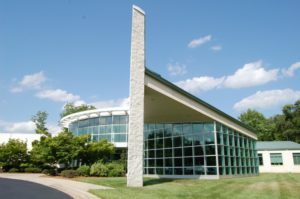 JG: The Employers Association was founded in 1958 by a group of manufacturing companies in the Charlotte area. This was before UNCC or CPCC existed, and at that time there was no group in Charlotte to support employers with training and human resources advice. Today, we have 28 full time employees and many contracted trainers on staff. We offer over 40 different services to help companies with their human resources, employee relations, training, and development efforts. CBR: Who is eligible to join? JG: Of our current 900+ members, companies come from all industry sectors, both public and private, and range in size from two to several thousand employees. The only stipulation to join our association is that a company has at least one employee. CBR: What are the benefits of joining? JG: A small business would consider joining TEA for many reasons. Small business owners typically do not have a human resources professional on staff, so TEA is their go-to source whenever an HR situation or question pops up. It may be because you are considering hiring your first employees and you want to make sure you ask the right questions, complete and file the right paper work, and have an onboarding process in place. Maybe it’s time to write-up an employee handbook and you’re not sure about North Carolina, South Carolina, and federal employment laws. Or maybe you are considering offering your employees benefits, but you are not sure where to start that process. Of the 40+ services offered to members, smaller employers most heavily utilize our Advice Line. The Advice Line gives members the ability to email and call us an unlimited amount with questions regarding human resources. You can view the full list of membership benefits here. This list is broken down by complimentary member benefits, new member benefits, and a la carte benefits. The a la carte benefits are available to non-member companies or individuals at a standard rate, while members pay a discounted rate for a la carte items. CBR: What types of training and events does TEA host? JG: We offer over 300 topics of classes in management, leadership, professional development, human resources, and computer training. The back of our building is office space for the staff, but the large space that is open to the public is our training facility. We offer public classes Monday through Friday that members and non-members can participate in. Training classes fall under a la carte services, so members do receive discounted pricing on classes. You can view our upcoming training schedule and class descriptions here. CBR: What else would you like for us to know about The Employers Association? JG: I think it’s worth noting that non-profit organizations receive a discount on their annual membership dues and are put on a rotating schedule to receive free training opportunities throughout the year. If you have any questions regarding the benefits of membership or the cost of joining, give us a call at 704-522-8011, visit our website, or email me at jgreco@employersassoc.com. Thanks so much Jackie! We appreciate your time! We hope you enjoyed this blog! Be sure to “Like” us on Facebook and “Follow” us on Twitter and LinkedIn!